This most timely and utterly necessary book was borne out of a poignant event in 2016, when the UK government refused to allow 3000 child refugees to enter the country to seek safety. 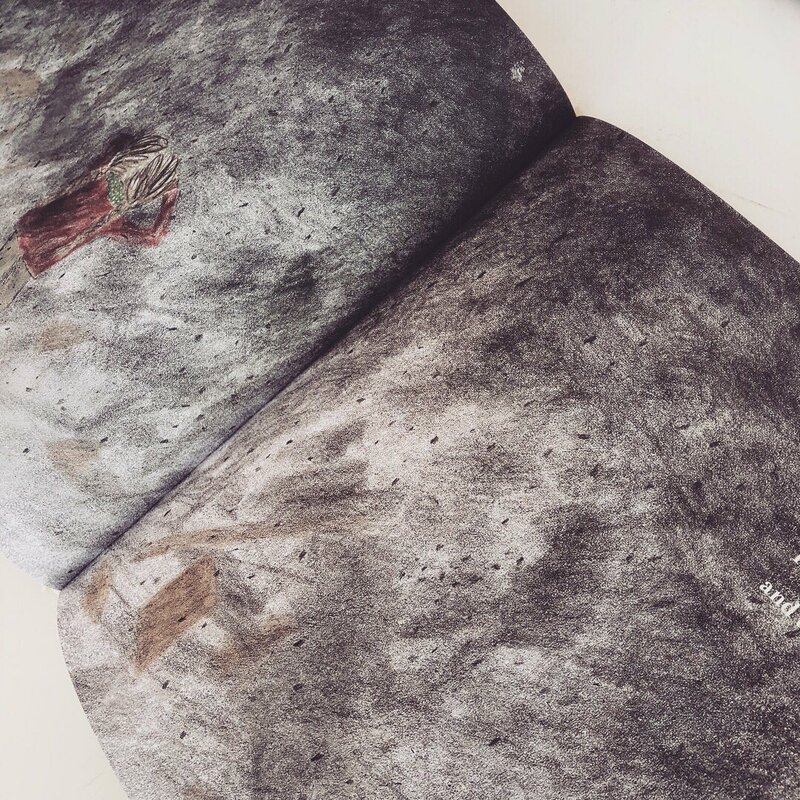 Nicola Davies was so enraged by this act she wrote a poem which in turn, started a campaign whereby artists contributed a drawing of a chair to symbolise an empty seat in a classroom, for each one of these children who had been refused. Imagine if, on an ordinary day, war came to your country… You find yourself alone, scared, injured and about to embark on the most dangerous and scary journey of your life. And when you finally arrive at your destination, nobody welcomes you. 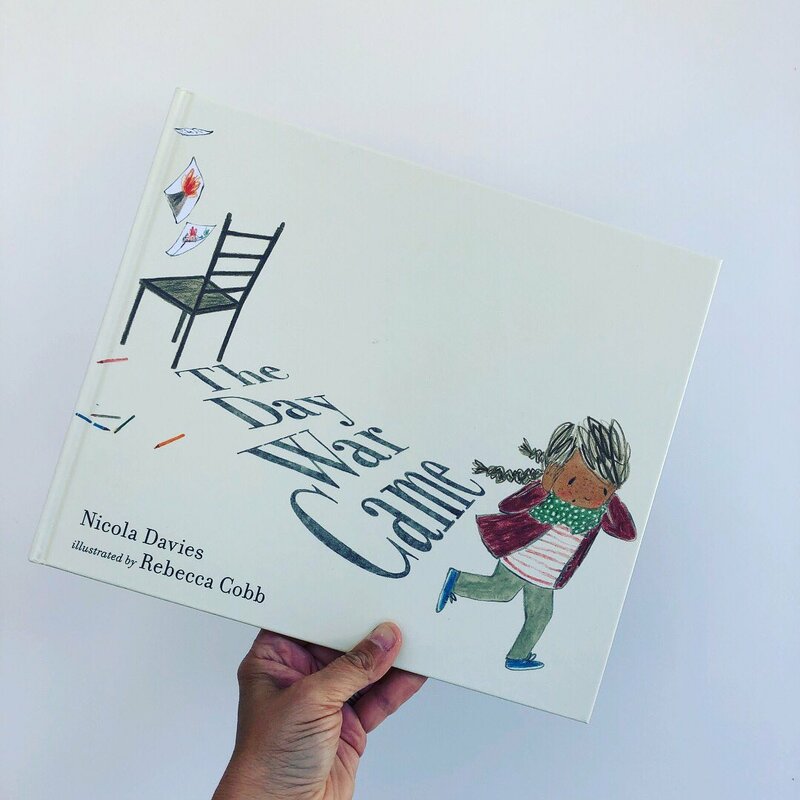 In ‘The Day The War Came‘, Nicola Davies and Rebecca Cobb have created an emotive picture book which is crying out to be shared far and wide, to create empathy and understanding in our younger generations regarding the ongoing refugee crisis. Rebecca Cobb‘s intuitive illustrations provide the perfect backdrop to Nicola Davies’ scant but powerful narrative. 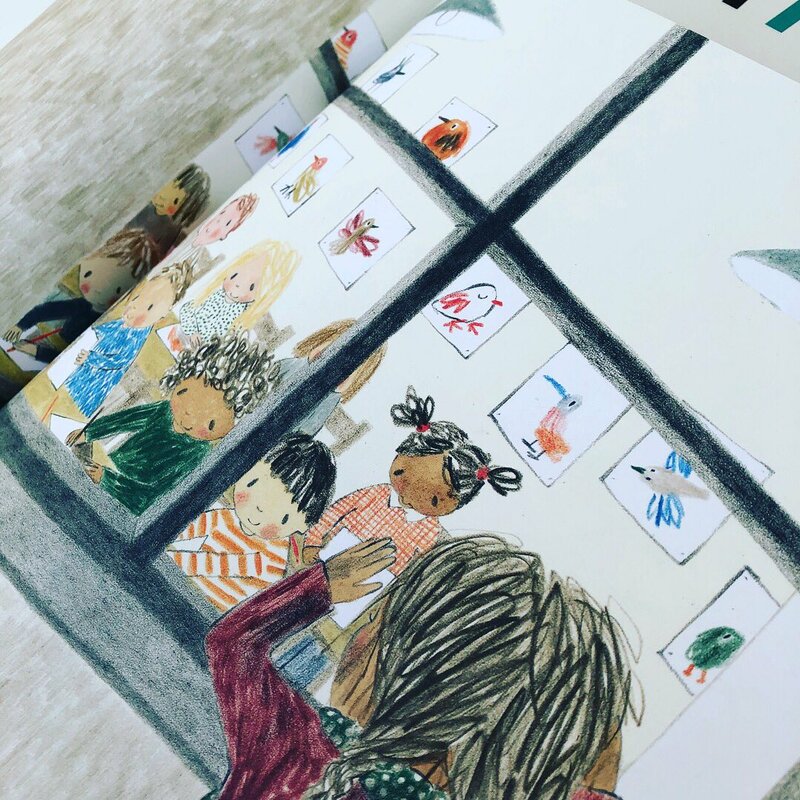 She begins the story with light, airy and colourful spreads which quickly move to the dark, foreboding pages with harsh, textured pencil lines. 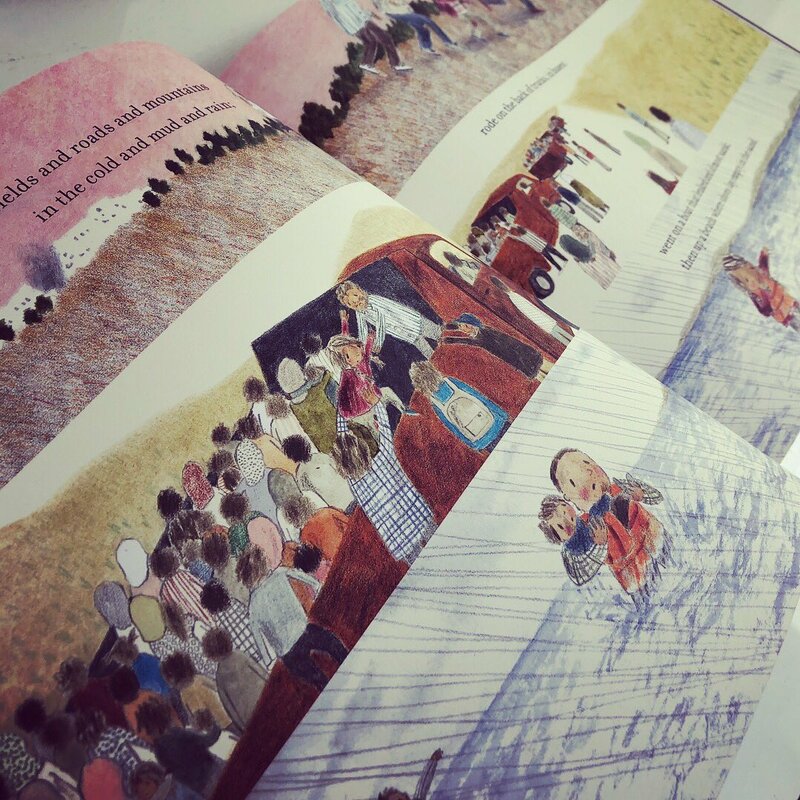 Rebecca effortlessly portrays the unrelenting nature of this destitute scenario for our sole refugee and her illustrative style lends itself flawlessly to this emotive tale. Cobb captures the end-to-end journey of this lone child with empathy and compassion and Davies doesn’t shy away from the uncomfortable nature of the reaction the refugee receives when she arrives in this new land. This is the perfect tool to share with a younger audience about this very current topic and will no doubt invite further discussion. £1 from every copy sold goes to the charity Help Refugees.